Jambalaya is a plug-in for Protégé that uses SHriMP to visualize ontologies. 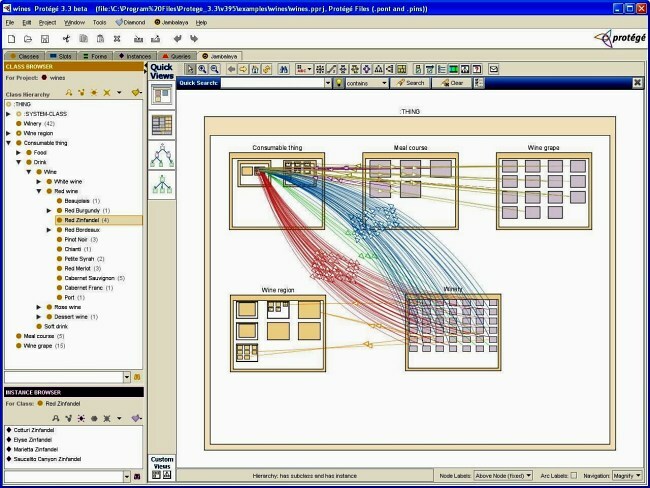 Protégé is ”an ontology editor and a knowledge-base editor” developed at Stanford University, which allows domain experts to build knowledge-based systems by creating and modifying reusable ontologies and problem-solving methods. You can try Jambalaya in your bowser.